St. Eustatius is an island area and the second smallest island belonging to the Dutch Caribbean. It is part of the Windward Islands and continues up to Saba and St. Maarten. Statia is surrounded by the Caribbean Sea and the Atlantic Ocean. St. Eustatius is the southernmost island of the Windward Islands, and has a total area of about 9.2 square miles. St Eustatius, or “The Caribbean’s Hidden Treasure” is the jewel of the Caribbean. St Eustatius, Statia as it is commonly known, has dazzling reefs that are teeming with marine life, rusting ship wrecks vestiges of the Lower Town, part of the capital of Oranjestad, what is largely submerged. More than 100 sunken trading ships off the shores of Statia make this a diving mecca. However there are things to do above the water too: visitors can take a half-day hike to the 2,000 foot Quill National Park, a classically shaped volcano with a forest-filled crater. Statia is 18 minutes by air from St. Maarten, and primarily a day-trip destination. Those who linger can appreciate the unspoiled island, its history, and its peacefulness. Think of this tiny Dutch Caribbean island for quiet times, strolls through history, and awesome diving and hiking. 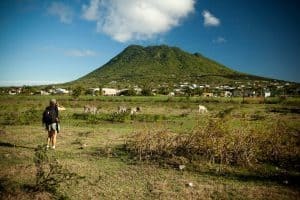 While many of its neighbors are pursuing the tourist business big-time, Statia is an island out of time, and that’s its charm. To learn more about all the beautiful beaches on the island of St Eustatius, visit here. Now view our St Eustatius Travel Guide to help plan your next St Eustatius vacation! 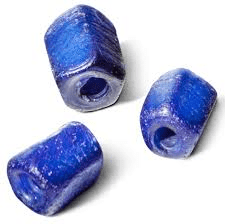 A remarkable story is that of the blue beads, Statia’s local currency in the 17th century. The famous Dutch West India Company used these beads to trade in tobacco, cotton, rum, and slaves. To this very day, the beads reappear whenever a fierce storm stirs up the sand on the bottom of the sea and around the island. According to the legend you don’t find blue beads but the beads find you, and if you’re found, you will return to St. Eustatius again and again. Blue beads are the only artifacts that are allowed to leave the island. Like the other islands in the Caribbean, St Eustatius has a tropical climate. The average annual temperature is 80.6°F, peaking at around 89.6°F. The temperature on St Eustatius is stable and benefits from the trade winds. There is no rainy season as such and the showers are rather short. There are two seasons on the island, the dry season from December to April, and the wintering season from May to November. The dry season is the high tourist season. At this time of year, mornings and nights are cooler but never dip below an average of 68°F. In the wintering season, temperatures are higher throughout the day. Although there is seasonal variation in the rains on St Eustatius, the difference between the dry and the rainy seasons is less marked than on other islands further south. The rainy season is generally associated with the hurricane season, which runs from June to December. According to historic weather patterns, the most likely week for a hurricane to hit St Eustatius is in the middle of September, so you may wish to avoid planning a visit at this time. As, temperatures remain constant throughout the year in St Eustatius, the best time to holiday here is determined by humidity and rain. Most visitors to St Eustatius chose to go during the dry season, with the best months being December through to April. After this time, the air becomes humid and sticky before the rains begin to break in August. 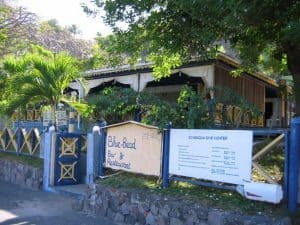 Hotel prices do not fluctuate, so those seeking a vacation during the high season, between December and April, will find St Eustatius offers good value for money when other islands in the region tend to double their rates. 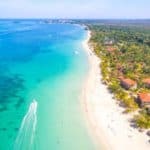 Accommodations can get booked up towards the end of July when people flock to the island to celebrate the annual carnival, so booking a hotel well in advance is recommended during this time. All visitors need a passport, valid for six months beyond their arrival date, and an onward or return ticket. Citizens of North America, Australia, New Zealand and most European countries do not need a visa to visit Statia for up to 90 days. Other nationalities should check with the Dutch representation in their home country. St. Eustatius is located 33 miles southwest of the coast of St. Maarten, or about a 20-minute plane ride. There are no direct flights from the U.S. to Statia currently. The best way is to fly into St. Maarten and take a short island-hopper to Statia’s F. D. Roosevelt airport, located outside of Oranjestad. Winair is the airline with the most flights out of St. Maarten to Statia. Reservations can be made though the Winair reservations office or by visiting them online at Winair. Driving in Statia is not difficult, mostly because there are not that many places to go. Street signs are few, but anyone you ask for directions will be more than happy to help you. The roads are generally in good condition. Daily rates for a car rental begin at $35. Rainbow Car Rental (tel. 599-318-2811) or Walter’s (tel. 599-318-2719) are your best bets if you want to reserve a car in advance. Drivers must be 21 years old and present a valid license and credit card. 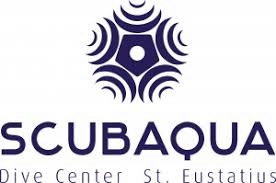 Taxis are available on St Eustatius, based in the capital of Oranjestad. Taxis do not run on a meter but prices are fixed, set by the country’s tourist office. You can pick up a copy of the price chart from the Statia Tourism Center in Oranjestad. 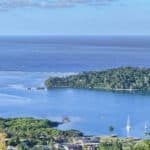 The country is small, so it is possible to arrange a taxi to anywhere on the island, although some drivers have been known to refuse to drive on some of the poorly maintained roads in remote areas. Visit Fort de Windt, one of the Caribbean’s best-preserved forts, which served as a defensive structure from 1756 until it was abandoned in 1815. Take in picturesque views over the Caribbean Sea and St Kitts toward the southeast. As you stroll around the fort, find rusty cannons scattered about, as well as two cannons looking out over the water. Find a sundial and step back to the 18th century as you use it to tell the time. The Park was pronounced the first official national park of the Netherlands Antilles in 1998, making it a protected nature reserve. The park was created to protect unique biodiversity and ensure sustainable use by all stakeholders. This 3.4km2 park consists of the dormant volcano ‘The Quill’ and ‘White Wall’, the limestone formation located on the south side of the volcano. The park boundaries include the Quill slopes above 250m, the interior of the crater and White Wall down to sea level. Soak up history and sweeping views from this extensively restored fort, a mighty citadel complete with cannons, triple bastions and cobblestone parade grounds. The current stone structure was built by the British in 1703, replacing the original wooden fort the French erected in 1629. 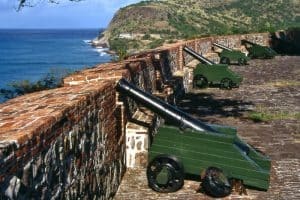 It’s the best preserved of the 16 remaining defensive forts on the island and is where the first salute was fired in recognition of US independence on November 16, 1776, now commemorated as Statia Day. 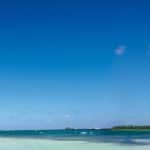 This narrow strip of oyster-gray sand is an extraordinary place to snorkel in pristine waters among the ruins of 18th-century warehouses, now caked in coral and teeming with multicolored fish. The ruins comprise most of the former Lower Town, which had been built on sand behind a sea wall and over time sank into the water as hurricanes wreaked destruction. Scubaqua Dive Center is located in St. Eustatius (Statia) in the Caribbean. Spectacular dives in a protected Marine Park with a personal touch. For more information call 599-319-5450, or visit them on the web at Scubaqua Dive Center. Owner operated since 1994 Golden Rock Divers has a small dive shop feel with all the amenities you would expect from a world class dive destination without all the frills. Flexibility is their motto and adjusting to their customers needs and desires is how they can best ensure their satisfaction. 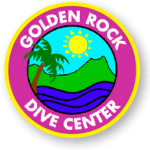 For more information call 599-319-2964, or visit them on the web at Golden Rock Dive Center. 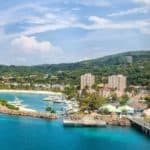 The Virgin Islands are known for their calm, turquoise blue waters, endless sandy beaches, idyllic anchorages, laid-back island atmosphere and friendly people. Whether you want to enjoy the privacy of your own vessel as a romantic retreat or share your island adventure with family or a group of friends, a crewed all inclusive catamaran charter vacation from Virgin Island Sailing is the perfect way to spend a worry-free Caribbean vacation. For more information call 1-800-382-9666, or visit them on the web at Virgin Island Sailing. This delightful little blue-and-yellow restaurant, a favorite with locals, is the perfect place to have lunch after scuba diving or to watch the sunset. It is one of those places where everyone talks to everyone. There are always daily specials; the menu includes pizza, burgers, seafood, and Italian and French food. But it’s closed between lunch and dinner (2–6). For more information call 599-319-2873, or visit them on TripAdvisor at Blue Beard Bar & Restaurant. In the courtyard overlooking Fort Oranje, this is a favorite of those who like to watch the sunset. It hasn’t changed over the years. Owner Lauris Redan serves sandwiches and burgers for lunch and a variety of local dishes—baked snapper with shrimp sauce, spicy chicken, tenderloin steak—at dinner. Try the local conch. As at many Statia restaurants, payment is cash only. For more information call 599-318-2934 , or visit them on the web at Ocean View Terrace. There isn’t much more to this nondescript place than a bar, some tables, and a patio. But its goat dishes have made it well known. Every Saturday there is a barbecue and a DJ. The barbecue is a great deal—ribs, chicken, potatoes, satay rice, vegetables, and salad—all for $13. For more information call 599-318-4948, or visit them on Facebook at Franky’s Bar & Restaurant. West Indian, creole, and local fish specialties are on the menu at this waterfront terrace restaurant, where the sound of the Caribbean is always playing in the background. For more information call 599-318-2445, or visit them on the web at Golden Era Hotel Restaurant. This bistro in the Old Gin House hotel serves a well-prepared selection of rotisserie chicken, grilled fish, lobster, steak, and pastas. The historic dining room borders a flower-filled courtyard, and dining even extends across the street to the relaxed, umbrella-shaded patio on the waterfront. Mango bavaroise and key lime crepes are specialty desserts. For more information call 599-318-2319, or visit them on the web at The Old Gin House. 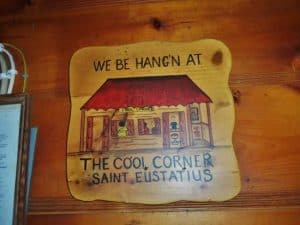 This family-run establishment is more of a takeout joint than a proper restaurant, but it’s also an authentic island bar frequented by a friendly crowd. The huge, central bar is designed to encourage mingling and with some of the cheapest prices for booze on the island you’re guaranteed to make some new friends here. For some reason foreigners who’ve lived on Statia seem to leave their car number plates on the walls of this place before returning home, but we don’t recommend you try this with your rental car. For more information call 599-318-2523, or visit them on TripAdvisor at Cool Corner Bar & Restaurant. Imagine if the 250 year old wall of the old Mooshay bay public house could speak… Inside the cozy bar the ambiance is overwhelming. You feel the richness of a history unsurpassed. Enjoy the classic cocktails or endeavor on the newer creations of the skilled bar staff. Look through the old books of Statia and talk to the locals and you will soon feel a blanket of warmth and happiness descent on you. For more information call 599-318-2319, or visit them on the web at The Old Gin House. 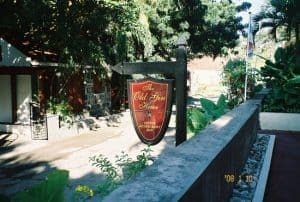 Offering an outdoor swimming pool and a restaurant, The Old Gin House is located in Oranjestad Beach. Free Wi-Fi access is available and a furnished terrace is featured. At The Old Gin House you will find a garden, a bar, and an array of activities can be enjoyed on site or in the surroundings, including diving. The property offers free parking. For more information, pricing, or to reserve your room, visit The Old Gin House. Located in Oranjestad, this air-conditioned villa features a terrace and a garden with a year-round outdoor pool and a barbecue. It provides free private parking. Bike rental and car rental are available at the property and the area is popular for snorkeling. There are lots of activities in the area, such as diving and hiking. For more information, pricing, or to reserve your room, visit The Smiling Turtle. Featuring free WiFi, Palm Spring Inn offers pet-friendly accommodations in Oranjestad. Free private parking is available on site. The property also has grocery deliveries. For more information, pricing, or to reserve your room, visit the Palm Spring Inn. 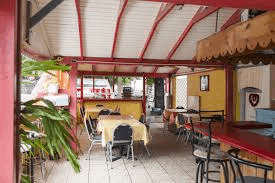 Featuring a barbecue, MareVista is located in Oranjestad. Free private parking is available on site. MareVista also includes a terrace. The property also has grocery deliveries. Car rental is available at the property and the area is popular for snorkeling and diving. For more information, pricing, or to reserve your room, visit MareVista. Featuring free WiFi, Statia Lodge is an eco-lodge offers pet-friendly accommodation in Oranjestad. The property is set in a garden surrounded by nature and the ocean. Free parking is available on site. Wooden bungalows have openings between the walls and the roof for air flow. There is no air conditioning. A breakfast is offered and served, except on holidays and Sundays. Statia Lodge also includes a year-round outdoor pool. A scooter is available during the stay for 1 or 2 guests. For more information, pricing, or to reserve your room, visit Statia Lodge. Wow! 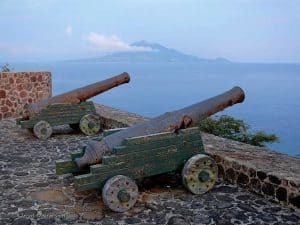 So much amazing information about St Eustatius.. As someone looking to plan a honeymoon I found this info very helpful and SOOO informative. Thanks! Great Olivia, I am glad it is going to help you with your honeymoon planning! Thanks for reading St Eustatius Travel! St Eustatius looks like a beautiful place! I actually have a good friend who visited here. She had such a great time, she keeps telling me I need to go. Perfect timing to find this post on St Eustatius. Great information and I hope that I will be able to get there sometime in the new year. Thank you again! Your friend is right Angie, it is definitely a great place to go in the Caribbean. Off the beaten path, less crowded, yet so amazing. I hope you can make it there as planned. Thank you for visit St Eustatius Travel. This is why I love your site, I hear and see about places I never knew existed. This looks like the perfect place to go exploring and to get away from it all. 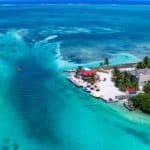 We love to travel to the Caribbean too and I’m definitely going to explore this gem of an island more. Beaches are great and I absolutely love that, but exploring and nature is also my kind of thing. You will definitely find it all on St Eustatius Linda. 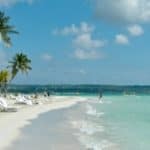 Thank you so much for visiting BeachTravelDestinations.com and if you every have any questions, please feel free to contact me. and I like the story of the blue beads and how they find you. When I am ready for the blue beads to come find me, I will be visiting here again, because you have all the information I need to take a beautiful vacation to St Eustatius in the Caribbean. You have saved me a lot of time! Thanks! You are so welcome Alesia. I am glad you enjoyed reading about St Eustatius Travel. Yes, may the blue beads find you when you are there. It is a fascinating story, and it would be so cool to actually have some of those! Finally I have found a website with all the information that I was looking for. I was really desperate in finding an article about St Eustatius. I found everything I needed to know about this subject. You are very welcome Emanuel! Glad you found my site useful. St Eustatius is a great place for sure! Thanks for visiting! Great article on St Eustatius, very informative and enticing! It certainly seems like a paradise for divers! My question, you mention the “classically shaped volcano”, has this ever been an active volcano?What is the current status of this volcano? I really don’t believe you have to worry about The Quill erupting 🙂 The Quill has been active since its birth; but the last known eruption, as determined by carbon dating, occurred between 1,755 and 1,635 years before present. That was a long, long time ago and it is not filled with a forest of trees. And yes, it is most definitely a paradise for divers! Thanks for reading St Eustatius Travel! This place looks AMAZING!! I’ve never heard of it and now I want to book a trip. It’s always great to unplug from the hustle and bustle of modern world. Every since I vacationed in Kauai, Hawaii; I now appreciate the beauty of less commercialized vacation destinations. St Eustatius looks like the perfect destination to relax and recharge. I’m super interested in Lower Town Beach. I am glad I found this information as you have made my planning much easier! Thank you for sharing! It is amazing! You will really enjoy, and be able to relax and unwind in St Eustatius. 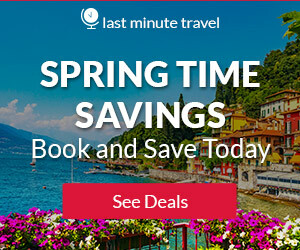 When you are ready to book, please let me know, as I know I can help you get the best deals! Thanks for visiting St Eustatius Travel. I’ve visited your website a couple times now and am stunned each and every time. The detail is fantastic and the recommendations are top notch! St Eustatius is a place I have been looking at visiting, because a good friend of mine has been there and told me that I “have” to go. The best part is you covered a lot of places, so there are many options to choose from. I’ve already shared this with some of my friends who are looking to take a vacation soon. My friend who as been there says your recommendations are spot on! Great, I am glad you have enjoyed visiting my site, and you will be amazed by the beauty of St Eustatius. I am envious. Please let me know if I can help you with your travel plans in any way. Enjoy the St Eustatius beaches! Great article! I’ve always had an interest in visiting the Caribbean, and you have made me want to go now! This sounds absolutely stunning. What really helped sway me was that you even went into detail regarding average temperatures. I don’t like hot weather (I know, crazy, right?). When I think of the Caribbean, I think “Tropics. Hot. No thanks!” But temps ranging from high 60’s to around 90? That’s more than tolerable, that’s amazing! I think I’ll bookmark this post for future reference. Thanks for such an in depth look. You are so welcome, and yes, the weather is really tolerable and not super hot in most of the Caribbean Islands really. Yes, St Eustatius is stunning with a lot to offer besides just their beautiful beaches. I am glad you enjoyed reading! Thanks for visiting Nathan. 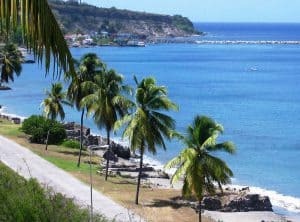 Its one of my dream holidays to go to the Caribbean but there are so many gorgeous places to visit, what makes St Eustatius stand out more than other places? It is definitely going to be the marine life in the reef. The diving is world class here, and many go to St Eustatius just for diving and the reef. It’s a diver’s paradise for sure. Thanks for reading about St Eustatius Travel! This is beautiful. I have been on your site before and you always take me away. I keep dreaming of which place I want to plan a vacation too, and you make that decision very tough! I will have to start saving and planning now for St Eustatius, it looks amazing! I always wanted to try scuba diving. This is definitely something and somewhere that I am going to make a reality for my next beach vacation. The videos and all the information, all paints a pictures and just calls my name to visit! I love it! Oh my word. This looks absolutely amazing. I have been considering a Caribbean vacation and this definitely has me excited thinking it may be a place to visit one day. Great info and very informative also. Looking at the original pic I would never have guessed there could possibly be so much going on. It has definitely made my bucket list. I am ready to pack my bags and head to St. Eustatius! Glad I ran across your site. Gonna be hard actually, to just decide on St Eustatius, or one of your many other great destinations you talk about! I am glad I enticed you Jean with my St Eustatius Travel post 🙂 There really are so many great places in the Caribbean you can visit, and St Eustatius is probably one of those islands that belong at the top of anyone’s bucket list.